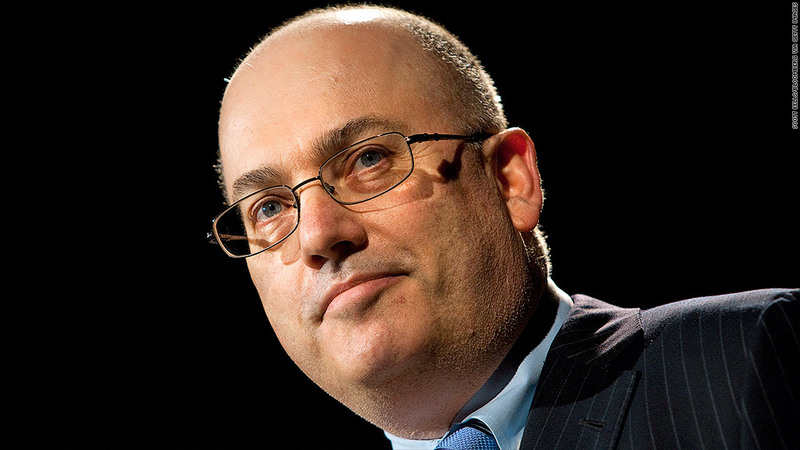 Steve Cohen reportedly has $7 billion of his own money invested with SAC Capital. The Securities and Exchange Commission announced charges Friday against hedge-fund mogul Steven Cohen, accusing him of failing to supervise employees who engaged in insider trading. The SEC, which cannot levy criminal penalties, is seeking to ban Cohen from overseeing investor funds. He could also face financial penalties and be barred from the financial services industry. Cohen's hedge-fund firm, SAC Capital, has already agreed to pay the SEC roughly $615 million in connection with alleged insider trading by two portfolio managers, Mathew Martoma and Michael Steinberg. Martoma and Steinberg have already been charged criminally and are awaiting trial. "Hedge fund managers are responsible for exercising appropriate supervision over their employees to ensure that their firms comply with the securities laws," Andrew Ceresney, co-director of the SEC's enforcement division, said in a statement. "After learning about red flags indicating potential insider trading by his employees, Steven Cohen allegedly failed to follow up to prevent violations of the law." SAC spokesman Jonathan Gasthalter said the SEC case "has no merit." "Steve Cohen acted appropriately at all times and will fight this charge vigorously," Gasthalter said in an email. "The SEC ignores SAC's exceptional supervisory structure, its extensive compliance policies and procedures, and Steve Cohen's strong support for SAC's compliance program." Cohen's attorney did not immediately respond to a request for comment. The Justice Department has also been investigating Cohen's firm, and nine of his current or former employees have already been charged with insider trading. Cohen himself has not been charged criminally, however. Even if Cohen were barred from managing investor funds and working in the financial services industry, he could still manage the massive personal fortune he has invested with SAC. As of May, Cohen accounted for $7 billion of the roughly $15 billion managed by SAC, according to Bloomberg. The SEC said its investigation "is continuing," and a spokeswoman declined to comment on whether Cohen could face additional charges. Investigators have been circling Cohen for years in the hope of building a case against him. Analysts said the SEC charges were relatively mild, indicating that the agency couldn't find the evidence to make the more serious allegation that Cohen himself engaged in insider trading. "This 'fail to supervise' case is as low-level a case as the SEC can bring," said Jacob Frenkel, a former SEC lawyer. "It does not show much for the years of intense scrutiny that have been brought to bear against Cohen." Frenkel said he expected Cohen to face "only a modest monetary penalty and perhaps a short suspension" from the industry. Martoma is accused of selling and shorting shares of the pharmaceutical companies Elan (ELN) and Wyeth based on inside information from drug trials that had not been publicized. The trades allegedly allowed SAC to generate profits and avoid losses worth $276 million in total. In an instant message, Cohen allegedly told analysts at the firm who were skeptical of Martoma's positions that the portfolio manager "has a lot of good relationships in this arena," the SEC says. Steinberg is accused of insider trading of Dell (DELL) stock in 2008. The SEC says Cohen was forwarded an email in August of that year from a research analyst who worked under Steinberg and claimed to have a tip "from someone at the company" that Dell's quarterly results would disappoint. Cohen subsequently sold off his Dell position before the results were released a few days later, case documents allege. Despite receiving this "highly suspicious email," Cohen "failed to take prompt action to determine whether an employee under his supervision was engaged in unlawful conduct," the SEC said. CNNMoney's Maureen Farrell and CNN's David Brandt contributed reporting.